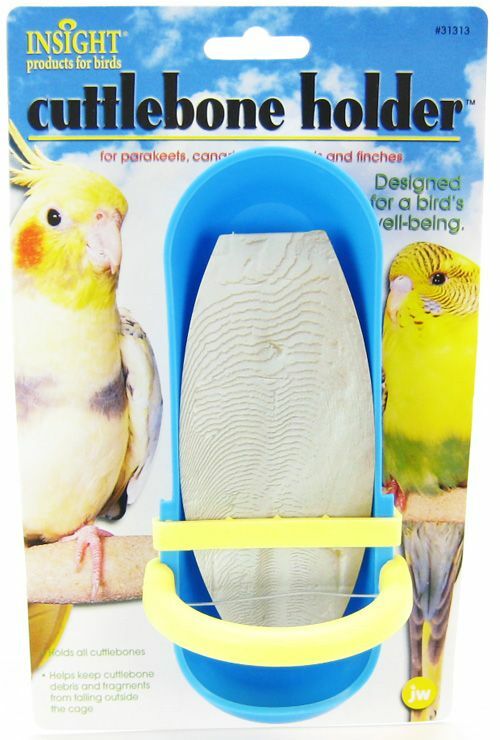 JW's Cuttlebone Holder helps keep cuttlebone debris and fragments from falling outside the cage. Approximately 7" x 2.5". Assorted colors. Color varies, but you can specify green, yellow or blue in Special Instructions, though we can't guarantee it will be in stock. Side Mount Shelf Rest - 8"x5"